Plus a few newly-announced features intended to appease users. Facebook CEO Mark Zuckerberg has embarked on an extended apology tour following the Cambridge Analytica debacle. At today’s Facebook F8 developer’s conference, he predictably took the chance to apologize yet again – then announced a host of new Facebook features. 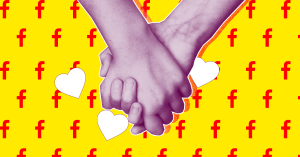 Among a number of insignificant software updates (and the new option to wipe your data history) Facebook revealed the real shocker: it’s building a dating platform. The timing couldn’t be more conspicuous. After all the leaks and private information given away without consent, Facebook wants you to trust them with what is arguably your most intimate data? On paper, it all sounds pretty harmless. The dating platform is going to sit on top of regular Facebook profiles, and is an opt-in feature. You will also only find other Facebook users, who have also opted in. Dating profiles are completely separate from your regular profile, and include any information or images you chose to put on there. And what sort of data experience should we expect from Zuck? “Long-term relationships, not hookups,” says Zuckerberg on stage at the conference. Sounds like Facebook has done its homework. Except that it will have to convince its two billion users to throw even more data at it. Unfortunately, if recent trends are anything to go by, Facebook may have yet another data goldmine on its hands — users are easily swayed by Facebook’s lucrative, “how-bad-can-it-really-be?” offerings. Besides, there’s no beating around the bush, Facebook is a monopoly — it wields immense power over its two billion users. But it’s a social media monopoly. And it’s far from the only online dating site on the web. Ironically, other dating platforms have been actively distancing themselves from Facebook recently. Bumble removed its Facebook login function, and Tinder users had to change their login method after Facebook’s framework updates broke Tinder’s Sign-in-with-Facebook feature. But there are over two billion Facebook users, and only tens of millions of Tinder users. Statistically, there’s a decent chance you’ll have a friend or two signing up to find “long-term” love. What Facebook will do with dating data is the next big question – and chances are, it won’t be pretty. And at this point, Facebook can do pretty much whatever it wants (including not paying taxes). A company the size of Facebook, won’t start magically regulating itself. With Dating, Facebook is carrying on collecting people’s data as if nothing happened. Sure, Zuck apologized (profusely), but are we really ready to move on from this yet? Yes, it’s possible that users could start trusting Facebook again in the future. But where does that leave us? The train has long left the station, and yet another crash is likely right around the corner. It’s a dark future, unless regulators are willing to step in before it’s too late.